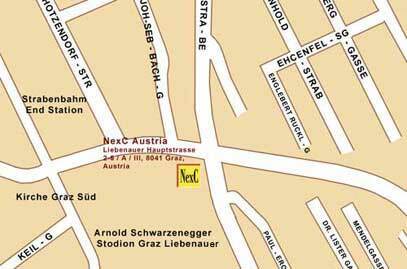 The office is located at the Arnold Schwarzenegger Stadium in Liebenauer. Its convenient location provides an easy access to City Center and nearby Airport Graz Tahlerhof and the Autobahn A2. It is 10 minutes away from the Central City Graz and 12 minutes from the Airport Autobahn Exit A2 Graz Sued.